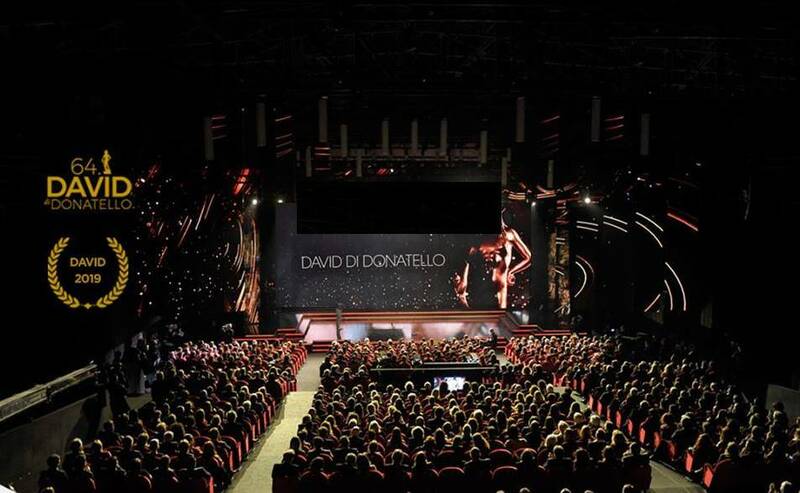 Poster for Alessio Cremonini's "On My Skin"
The award ceremony for the 2019 David di Donatello, referred to as the “Italian Oscar’s”, was held last night in Rome’s Studios and live-broadcasted by RAI. Piera Detassis, the first female president and artistic director of the Italian Film Academy, gave the awards a makeover this year, trimming down the number of Academy members from 2,148 members to 1,559 in an attempt to filter out some of the eldest amongst them, who no longer work in the industry. A new category was also introduced, the David of The Spectator, recognizing the biggest box office success. 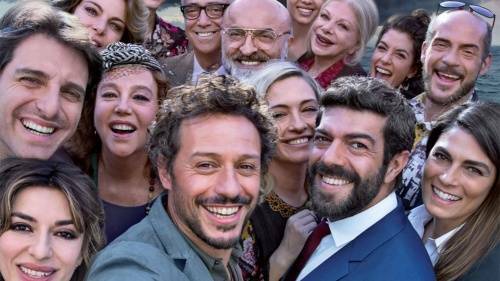 This year the prize went to “A Casa Tutti Bene” (“There Is No Place Like Home”), a dramedy by Gabriele Muccino about a family that gets stranded on a desert island where they were meant to celebrate the grandparents’ 50th Wedding Anniversary. This moving Netflix-produced true-crime film about the last days of Stefano Cucchi, the young man from Rome who died under police custody in 2009 after having been severly beaten up, garnered 4 awards in total, a success that came as somewhat of a surprise since Netflix films are quite controversial amongst Italian exhibitors. Another Netflix film, Alfonso Cuarón’s Roma, won Best Foreign Film beating “Bohemian Rhapsody”, “Phantom Thread”, “Cold War” and “Three Billboards Outside Ebbing, Missouri.” The Mexican director was there to accept the award in person. Other illustrious international figures awarded were Tim Burton, who received the David for Cinematic Excellence, as well as Dario Argento, Francesca Lo Schiavo and Uma Thurman, who won special Davids. In her acceptance speech, Thurman recalled working on Terry Gilliam’s “The Adventures of Baron Munchausen” (1988) in Rome’s very own Cinecitta’ Studios at the very start of her career. Luca Guadagnino’s acclaimed 2017 “Chiamami Col Tuo Nome” (“Call Me By Your Name”) re-emerged, winning a couple of awards for Best Adapted Screenplay and Best Original Song: “Mystery of Love,” by Sufjan Stevens. For the first time in the show’s history, two women were nominated for Best Director: Alice Rohrwacher for “Lazzaro Felice” (“Happy as Lazarus”) and Valeria Golino for “Euphoria.” A good sign that maybe things are starting to change within the industry, despite the fact that neither of them won. Detassis, in fact, declared that she sees the awards as an “educational tool and a driver for promoting our cinema and our production.” For this very reason, some consider the ceremony to have been very “political” or safe, a point which is tied to the ongoing debate of whether these type of award shows should concern themselves with sending social messages or if they should focus exclusively on artistic and technical merits.